I have always cared about the well being of all animals, so I love the line of work I am in. It all started when I was young as my parents always allowed me to have many different animals at home. 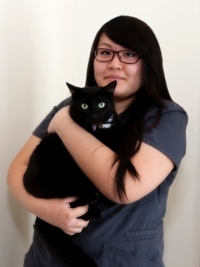 I started off in the animal care field as a co-op student at a clinic in Toronto. I was hired by the clinic as a full time employee and worked there for 10 years until I started a family. I started working evenings and weekends at the Veterinary Emergency Clinic. This is where I first met Dr. Spence. I heard Erin had opened a clinic in Etobicoke and contacted her. The rest is history! In my spare time I volunteer at my children’s school as vice-chair of the parents committee. I also offer services for pet sitting and fostering unwanted pets, helping to find them forever homes. I think it is important to foster unwanted pets to make sure they know that there are good people out there who love them. I joined the IVAH team in September of 2014 and am so glad to have joined such a wonderful team. I love coming to work everyday and seeing every client’s 4-legged family members. You’ll find me assisting in the appointments, helping during surgeries or providing care for our patients in our treatment room. I’ve always had a desire to be around animals, and spent much of my childhood at my grandparent’s family farm. I’ve had numerous pets over the years, and currently I have an adorable dog named Rudy. 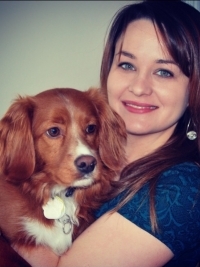 I attended Seneca College and graduated as a Registered Veterinary Technician in the spring of 2014. I’ve also obtained a degree in Environmental Science from York University, which has led to a special interest in wildlife care and conservation. I love to travel and future goals of mine include going abroad to volunteer working with native wildlife around the world. I joined the IVAH team in October of 2016. I am forever grateful for the opportunity to join such an amazing team. Growing up I never had any pets other than fish. Through friends who had cats and dogs I decide on a career working with animals. I wanted to help pets, as well as their owners. I graduated from the Veterinary Technician program at Seneca College and obtained my RVT status in 2016. You’ll find me assisting in appointments, providing care for our patients in our treatment room and monitoring patients during surgery. I was born in Toronto and have lived in The Junction all my life. I currently have a cat named Juno. In my spare time I love to play video games, explore the city with my friends and build computers. Art has also always been a hobby of mine, whether it be doodling, sketching or painting. 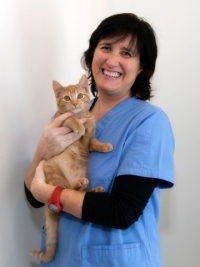 Phaedra joined our practice in November 2013. 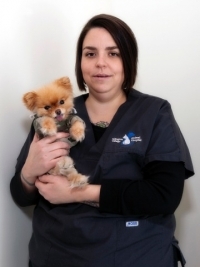 She comes to us with over 16 years experience in the veterinary industry and is a very talented individual that helps run our front office. She has multiple pets of her own, including 3 dogs and 3 cats. 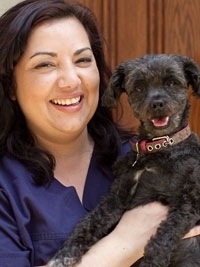 She is very compassionate about the health and well being of all our patients. She looks forward to meeting you and providing you with outstanding customer service. I joined IVAH in May 2016. I have loved animals since I was a child, and working with them has always been a passion of mine. 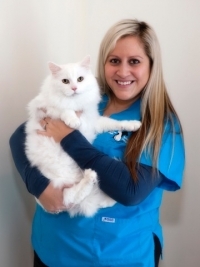 I began my career in the Animal Care field as a co-op student at an animal hospital in Brampton. In 2006 I graduated with honours from the Animal Care course at Sheridan College. I have a lot of furry kids of my own. I have a goofy “Bully” (Bull Terrier) named Dexter, and 3 cats Primo, Donna & Kiwi. In my spare time, I enjoy relaxing with my husband Aaron watching soccer and sitting out on a sunny patio or by the pool, planning our next warm destination vacation. I love to travel around the world, exploring warm destinations while escaping the cold Canadian winters. I was born in Toronto and raised in both Toronto and Valparaiso, Chile. My goal is visiting Chile once more to show my husband where I grew up. I am fluent in Spanish and English, and often consider my first language to be Spanish. This allows me to speak with clients who prefer to or can only speak Spanish. I’m thrilled to be a member of this amazing team where the learning opportunities are endless. My mission is to provide IVAH clients and patients with the best in customer service and patient care. I joined IVAH in July of 2017. 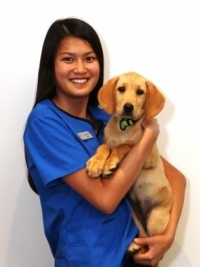 I am a part-time Client Service Representative and look forward to meeting you and your pet at the front desk. I am grateful to have a job that allows me to work with animals’ every day, as I believe animals play such an important role in our lives. I think it is important to take care of our little furry friends. I am honoured to work with such an amazing care team. I am currently a grade 12 student, and aspire to go into animal practice. I have had a passion for animals all my life. 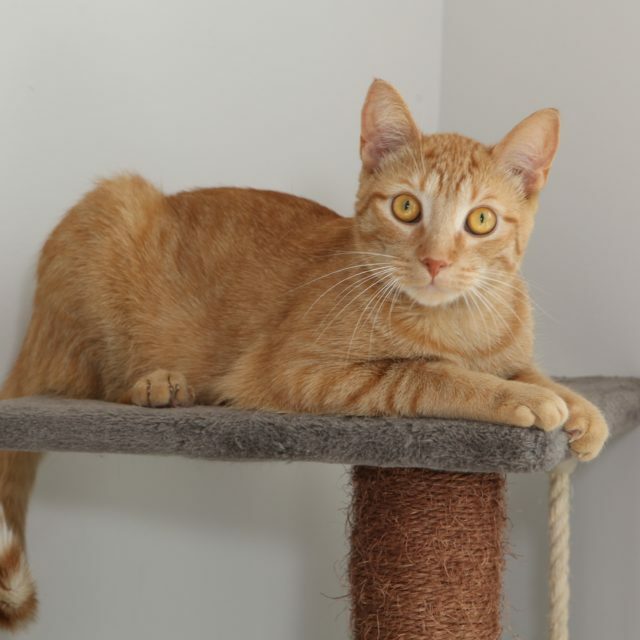 I have grown up in a home filled with many loving animals consisting of multiple cats, dogs, birds and reptiles. Currently my family has 2 cats Marty and Squish. Most of my family’s pets are rescued because we enjoy actively helping pets in need in our community. I look forward to continuing my journey at IVAH, and in animal care. I joined the IVAH team in October 2016 soon after completing the Veterinary Assistant Certification Program in Kingston, Ontario. That was the final twist of a long and eclectic working history. I am from Spain. I completed my degree in Psychology in Barcelona, which allowed me to discover my passion for research in the animal behaviour field. Life, however took me to play roles as diverse as quality control supervisor in the animation film industry in Mainland China, writer for children animation series in Hong Kong, peer counselor for survivors of domestic violence in Toronto, and consultant in the International Trade industry between Asia and South America. Having the opportunity of working with animals again, I feel I have come back to the field where I belong. I am delighted to be able to work with such an incredible team and I look forward to meeting you and your four-legged friends! In my spare time, I walk dogs at a local shelter. I also love spending time with friends over a coffee, or unwinding at home with my husband Jose and my cat “Teo”. I joined the IVAH team May 2017. From a young age I knew I wanted to help animals. I’m always excited and forever thankful to be working with such an amazing group of supportive and fun-loving people. Most of the day you will find me behind the scenes; preparing or disinfecting after surgeries and you’ll also meet me assisting our techs and vets with your pets appointment. I have an 8 year old cat named Mittens who does not mind sharing her home with some “Part-Time-Puppies”. I walk and dog-sit for my neighbours (including Dr. Spence’s dog Jack). They quickly become part of my family. I convinced my parents to let me get a cat, however our house is run by dogs almost every weekend. I graduated from Etobicoke School of the Arts. Music is another passion of mine. I am a cello player and I spend a lot of weekends recording with friends. My plan is to go to college to become a Veterinary Technician in the near future. Hi my name is Bobby! My life started as a back alley feral kitten. 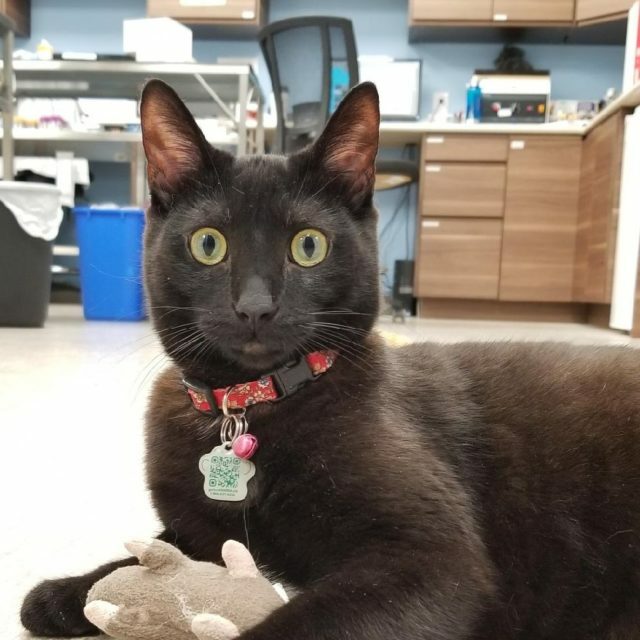 I was rescued by volunteers of the Annex Cat Rescue. I was in foster care for a while until I was adopted by the IVAH Careteam to be part of the feline support network. I made myself right at home as Cheeto’s partner in crime. I don’t like hanging out at the reception desk, I prefer “chillin” with the IVAH Careteam in the treatment area while they are busy at work. Because I was a feral kitten I have a large appetite, sometimes I can’t help myself and chew holes in our retail bags of food. Boy I get in trouble! Hi my name is Cheeto! When I was 4 weeks old a kind man found me under the hood of his car. He brought me to IVAH where he knew they would take good care of me. The IVAH Careteam nurtured and cared for me as a young kitten. They even took me home on weekends so I wouldn’t be left alone. I take my job as a Client Service Greeter very seriously. In my spare time I like to cause havoc with my buddy Bobby and one of these days I will catch that pesky laser beam! My favourite place to be is lying on the front desk saying hello to everyone.